I packed my bag hurriedly but with purpose: I’d need sunscreen, lipstick, a street map and my camera with long-distance lens. Nothing more, nothing less. I locked the door and walked hurriedly to the bar. 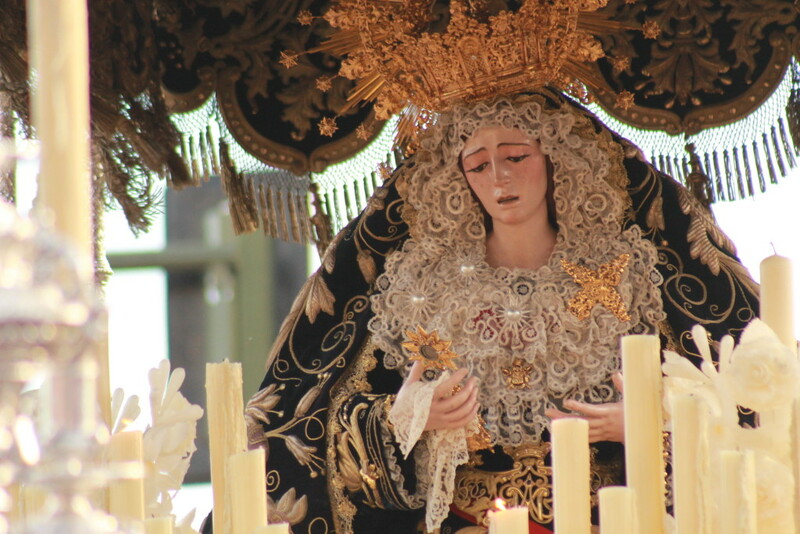 After more than seven years in Seville, I was finally staying to see Holy Week, the somber processions that punctuate the spring rains and precursor to the raucous fair. My ten-day break from school usually means a trip to somewhere far away from pointy hats and heavy floats – I’ve used Semana Santa to see the Taj Mahal, sip Turkish coffee in Istanbul, to road trip through Europe’s youngest country. But this year, I made torrijas, a typical sweet eaten during Lent, and buckled down to see the pasos. 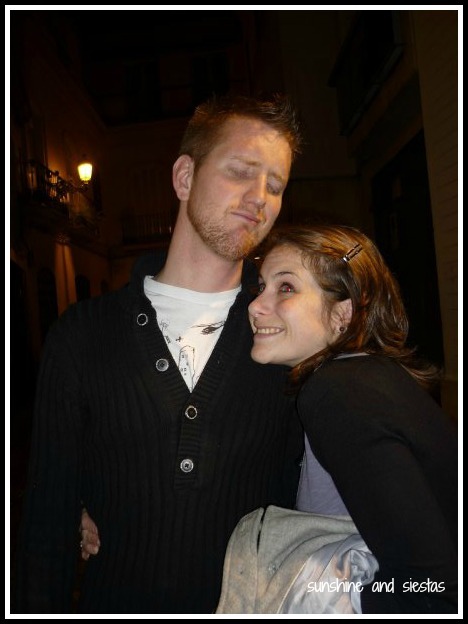 After lunch in Triana, Kelly and I took the long way to see La Estrella – one of the neighborhood brotherhoods, called hermandades. This takes planning, sturdy shoes and a lot of patience. Rather than crossing over the Puente de Triana, we took El Cachorro. The city’s most iconic bridge sees five brotherhoods pass over on its way to the Carrera Oficial between la Campana and the Cathedral and back home. La Estrella is Triana’s first and one of its most beloved. 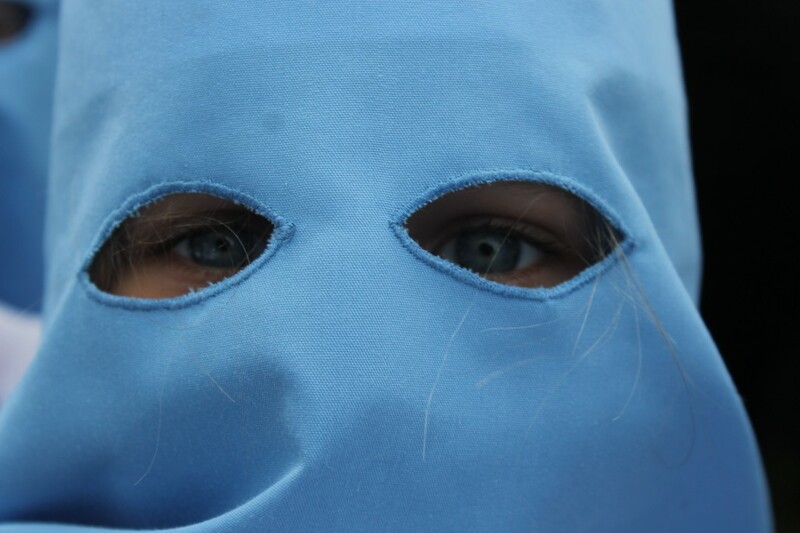 The purple and blue antifaces seemed less jarring in a bright afternoon light. 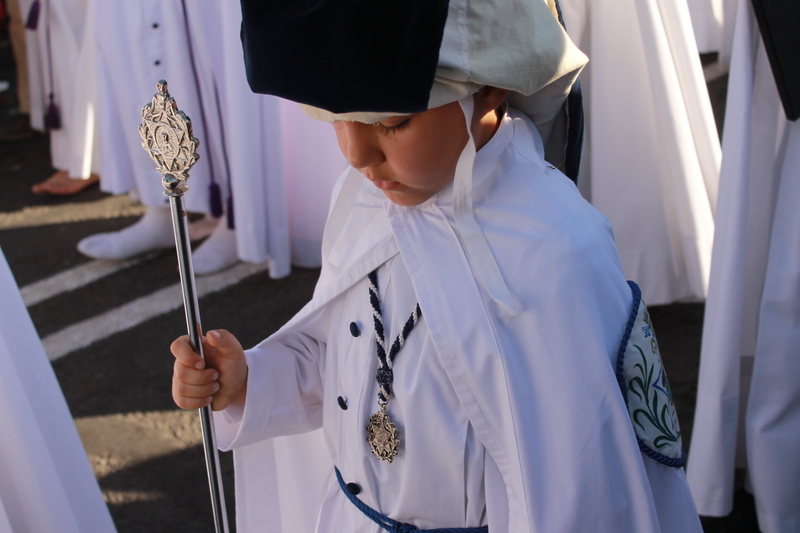 Seeing my first paso had all of the hallmarks – nazarenos handing out candy to kids, barefoot brothers seeking penitence while clutching rosaries, two floats and brass bands. We watched the Cristo de las Penas pass by, the air tinged with incense and azahar mixing with doughy fried churro steam. And, in true Semana Santa, we then went to a bar, had a drink, and emerged an hour later to wait for the Virgen de la Estrella. 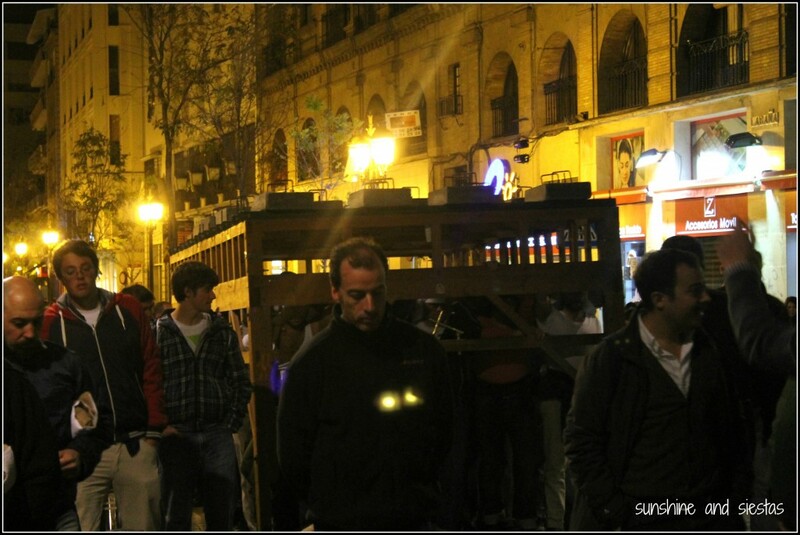 I’d come to discover that this is Semana Santa – waiting, pushing, waiting, drinking a beer, walking, waiting. 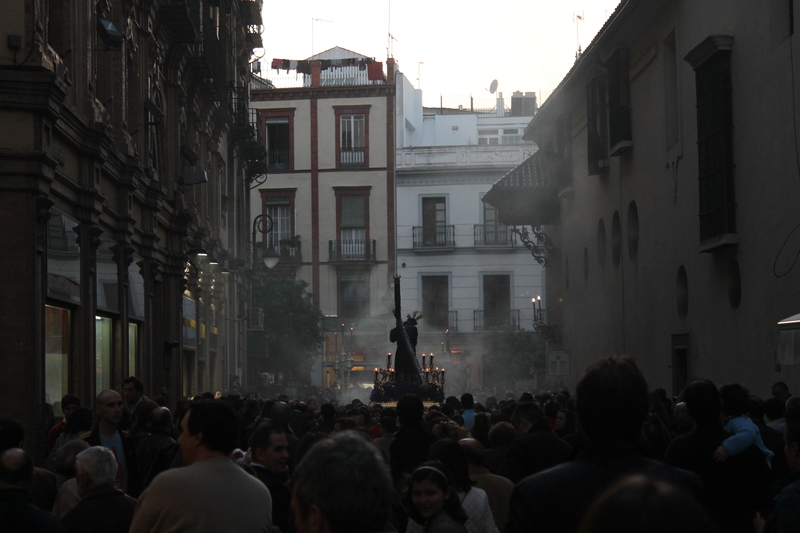 As soon as the band immediately behind the Virgen de las Estrella passed by, the throngs of people immediately disseminated. Like a couple of cabritas, we followed them, hatching out a semi-plan with the use of the Llamador guide and a vague idea of where some streets were. 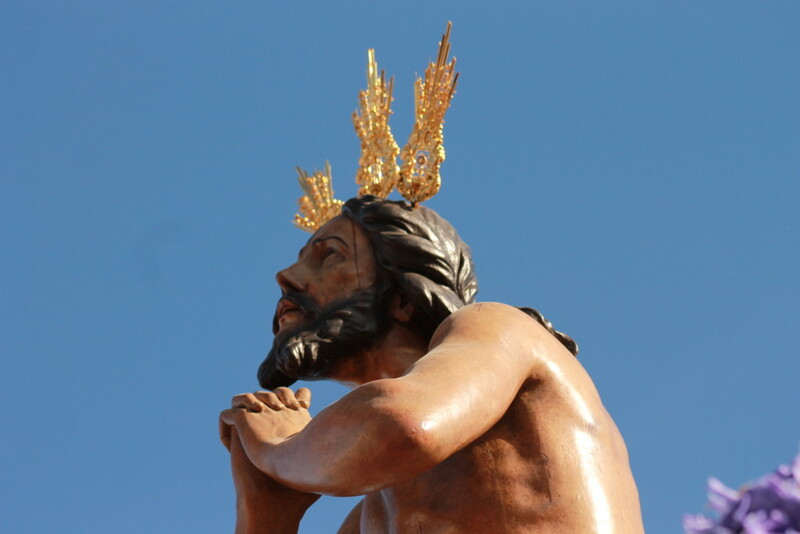 We found a spot on the curb just past the bull ring to watch Jesús Depojado – an image of Christ being disrobed – just before the Cruz de Guía emerged from an alleyway. Brothers handed us small pictures of the images, called estampitas, as they passed by, lighting the candles they held in their hands as dusk fell. 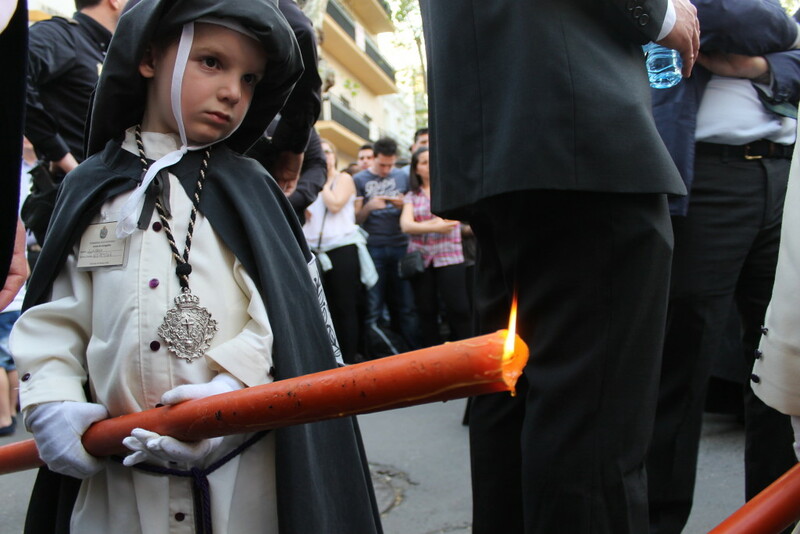 This particular procession captivated me, from the way children dipped their white gloves into the pools of hot wax as the cirios burned down to the way the costaleros turned the float around a tight corner to cheers and clapping. Kelly and I found Ximena and Helen after taking the long way around Barrio Santa Cruz. 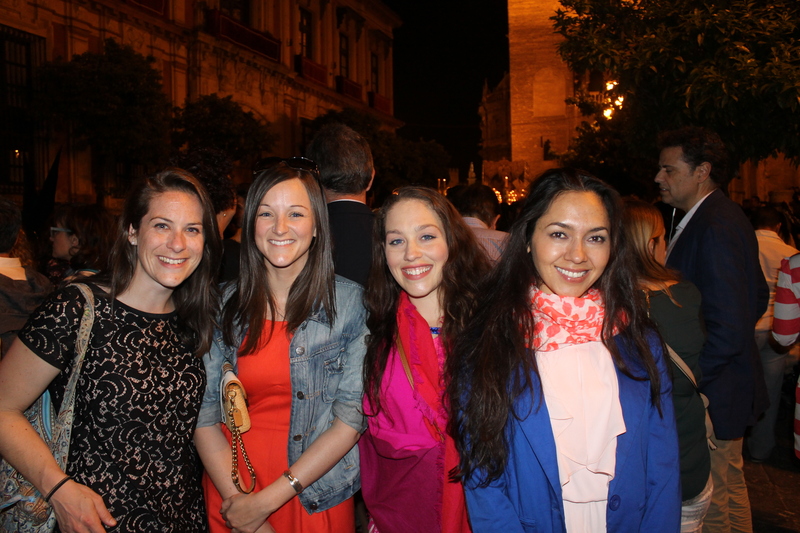 Helen had found a pocket of space in the shadow of the Giralda to watch her boyfriend’s procession, La Amargura. It was past 10pm, and the lights of the buildings had been switched off. 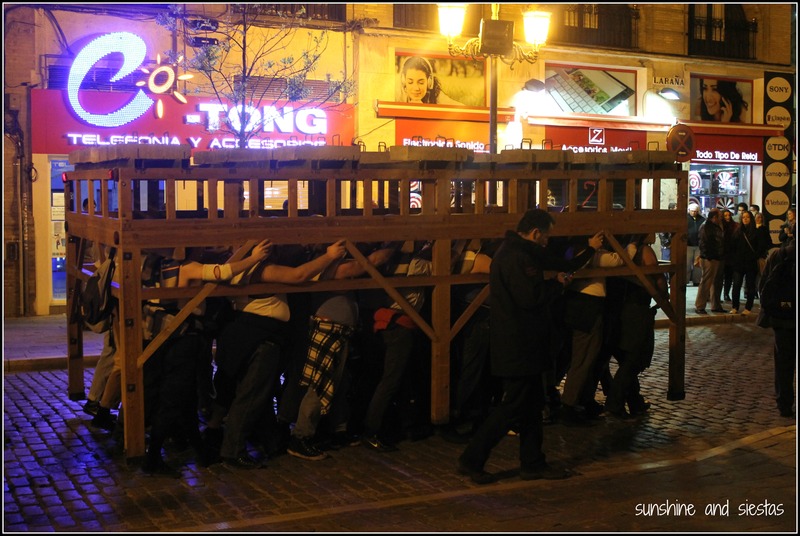 La Amargura is a serious brotherhood whose nazarenos cannot break rank. 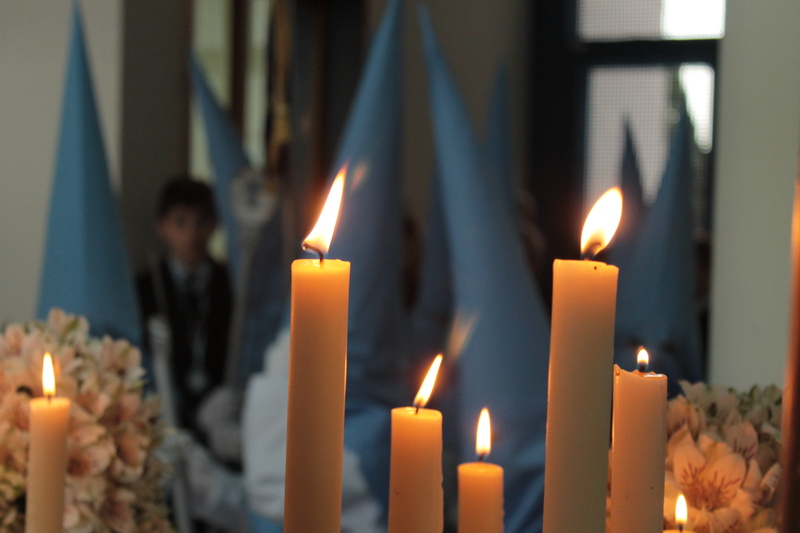 Even with their faces covered and hands grasping their antifaces, the solemnity was evident. 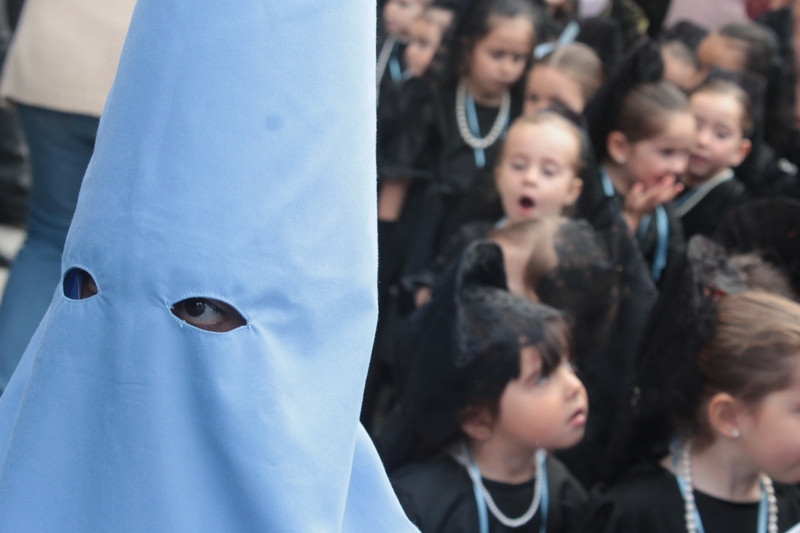 When the white-clad nazarenos begin filing by with their cirios lit, I gasped. It was eery, haunting. Just as I was crossing over the Carrera Oficial with the help of some local police and a hold up with El Amor’s procession, my mom called. 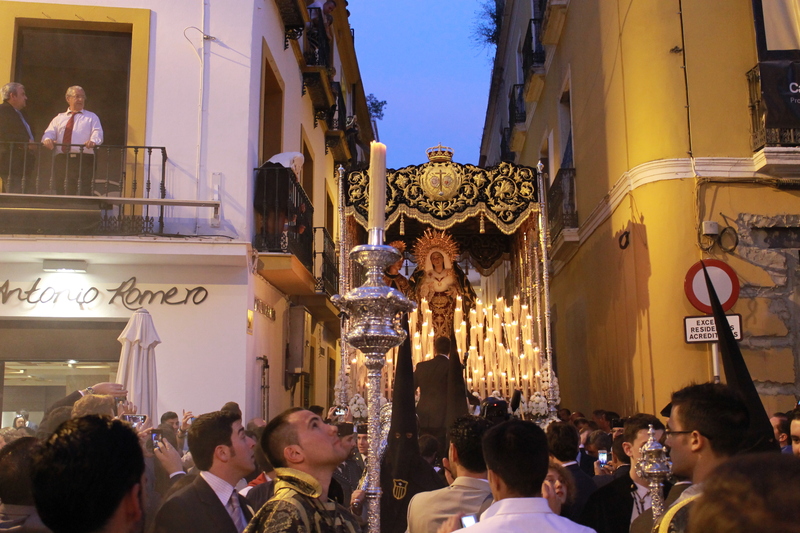 I stumbled back to Triana via side streets just in time to watch El Cristo de las Penas enter into its temple. 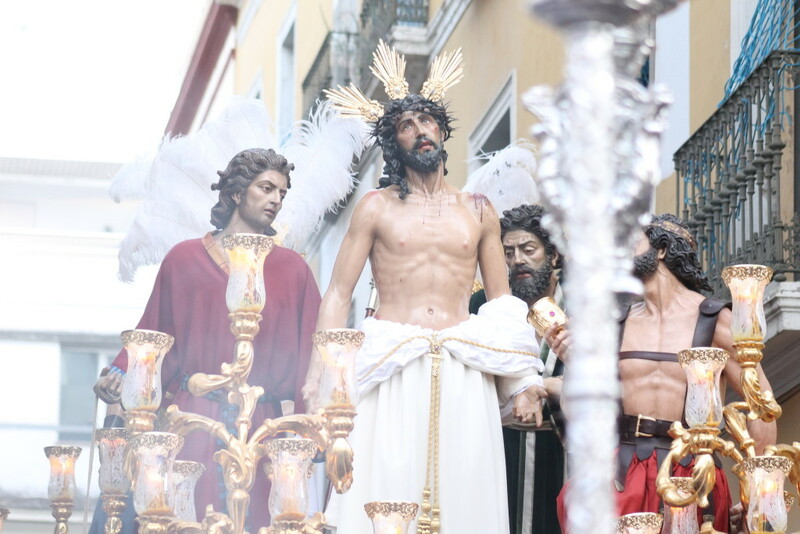 Like a car backing up into a garage, the float was maneuvered halfway in before lurching out three times, finally entering on the shoulders of 48 costaleros after more than 13 hours of procession. I stumbled into bed well after 3am, myself having done a procession of my own for 13 hours. 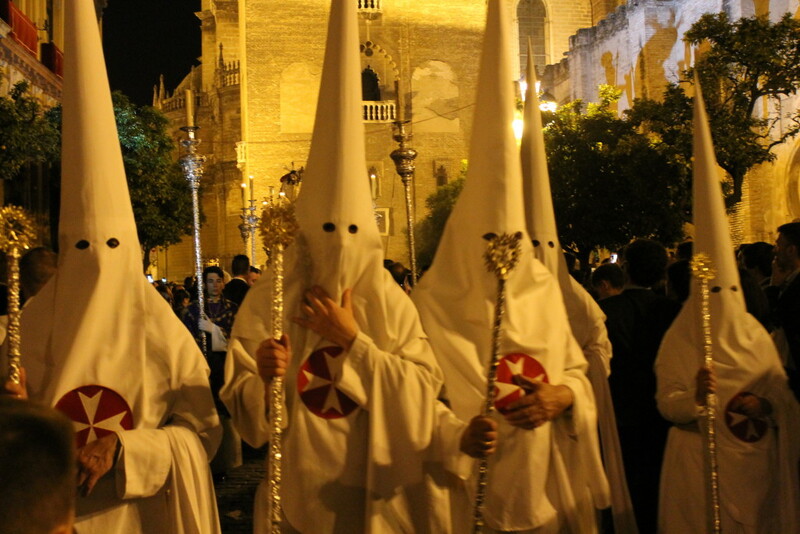 Have you ever seen Semana Santa in Sevilla? Which processions are your favorites? 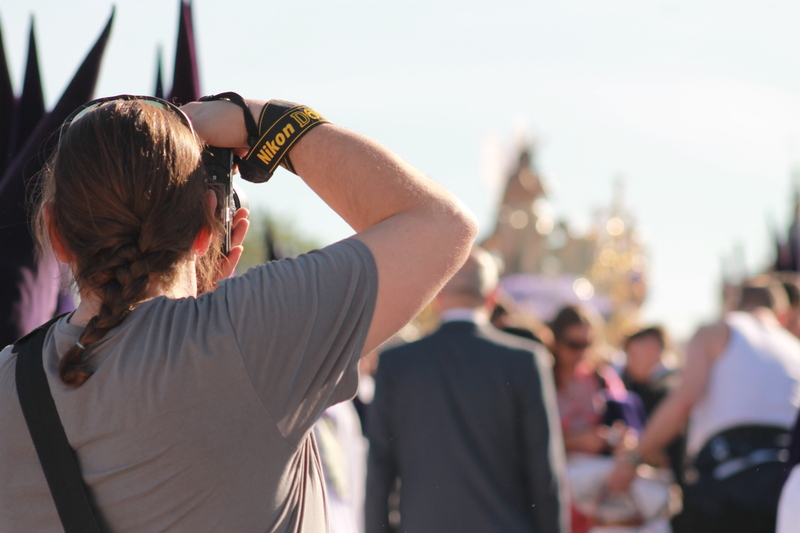 Seville Snapshots: Who’s That Nazareno? Smell that? It’s incense. Feel that? That’s some sevillano whose trying to push his way past you. 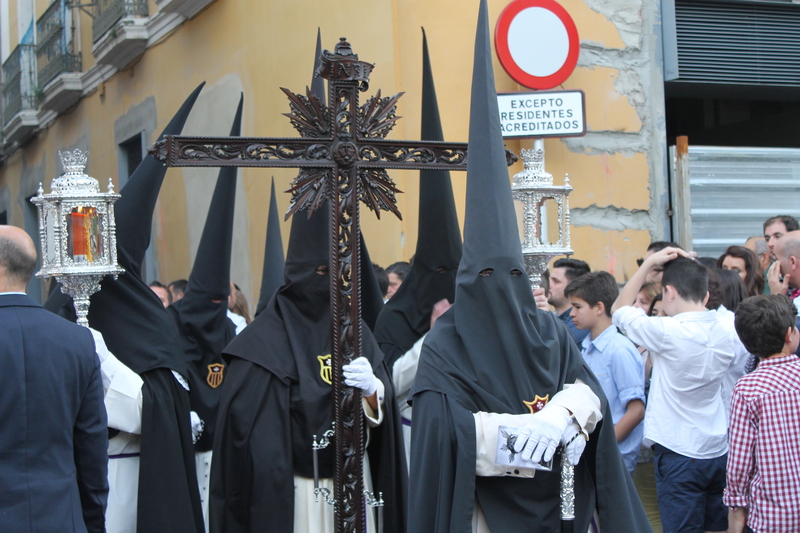 Yes, amiguitos, Holy Week is upon us, the stretch of time between Viernes de Dolores until Easter Sunday where sevillanos dress in their finest, women don enormous combs and black lace veils and pointy capirote hats dot the old part of town. The faithful spend all day on their feet, parading from church to Cathedral and back with enormous floats depicting the passion, death and resurrection of Christ. I’m not much of a capillita, but ten days of religious floats means ten days of travel for me. That said, I’m off to Dubrovnik, Croatia and the Bay of Kotor, Montenegro, country #30 on my 30×30 quest. 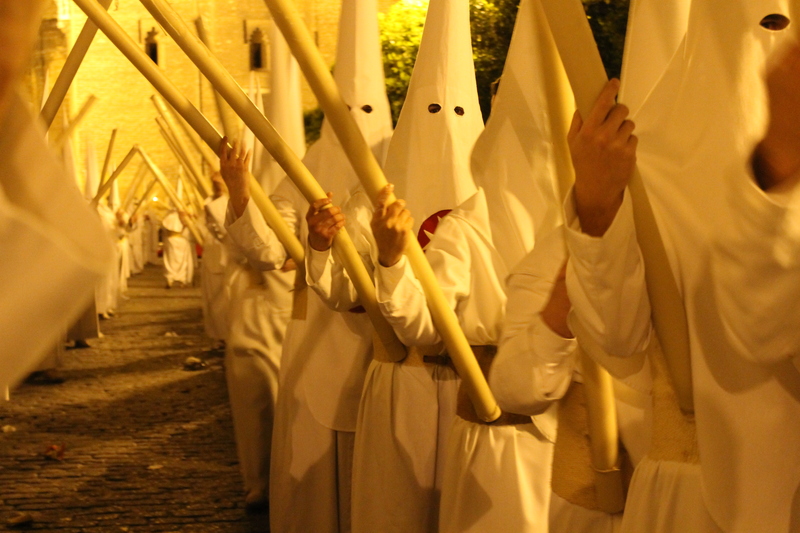 Where will you be during Semana Santa? 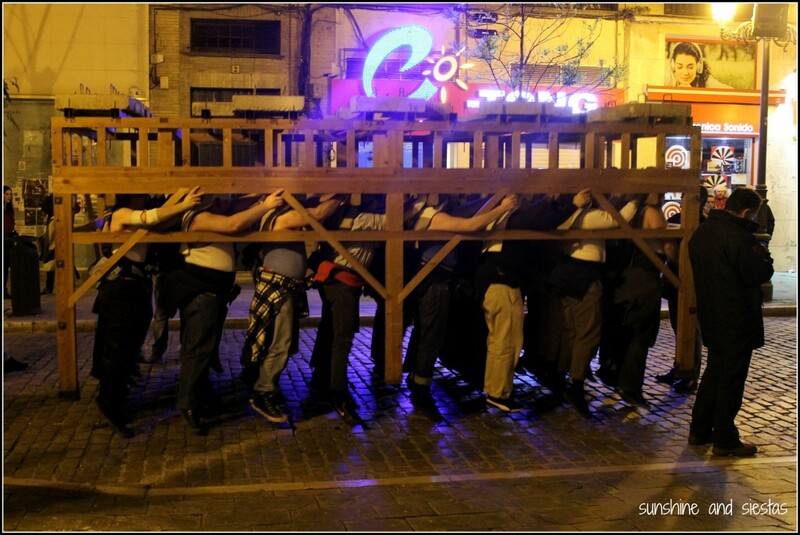 Do you like Holy Week, or would you rather get your fix in a Holy Week bar? Danny and I decided to make one last stop for the night, mostly fueled by our bladders than our ganas for another beer. I ordered a Coke and dipped into the bathroom while Danny paid. Two minutes later, as I left, the lights had been lowered, and Danny looked pale under the glow of a projector. He pointed to a screen, which showed an image of a bloody Jesus from a black-and-white film. “Oh, you get used to that,¨I cooed, but he had already downed his beer and was halfway through the door. Novatos. 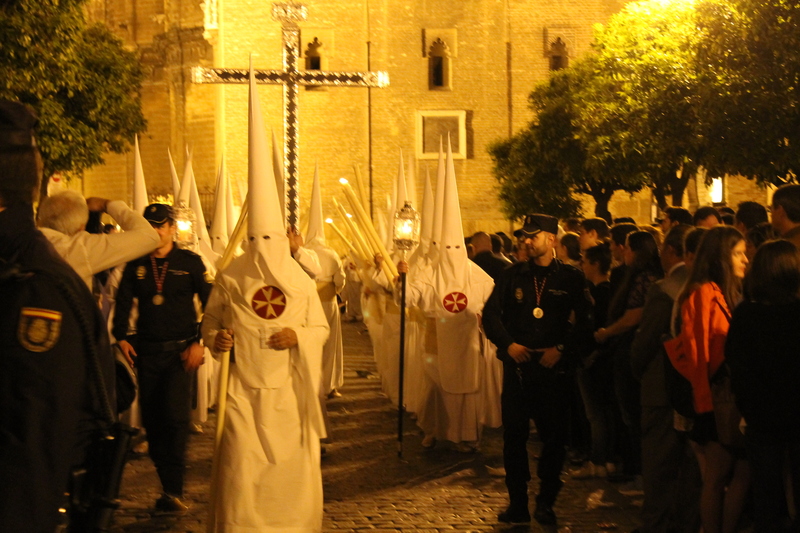 For me, the week-long revelry that surrounds Seville’s Holy Week has meant just a ten-day travel break for me. 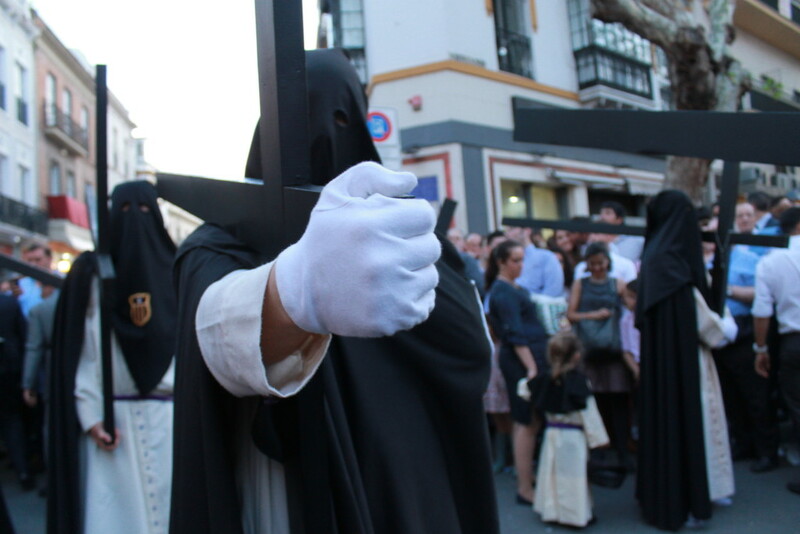 Living in Triana’s vortex of cofradías meant that braving Semana Santa, locked inside my house while life-sized depictions of the Passion, Death and Resurrection of Jesus Christ passed below my window. Paso de pasos, quite frankly. 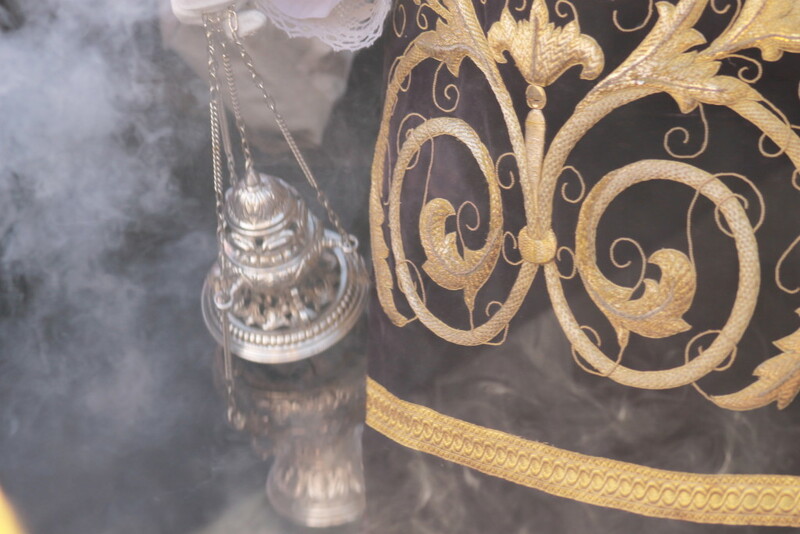 Still, I have become more and more fascinated in the pageantry and culture of Holy Week, and often take guests to bars full of musty busts of the Virgin Mother, spiderweb-covered chalices and black and white photos of anguished Christs to explain the parts of the cofradía and their symbolism. Plus, I kinda love having Jesus watch me have a cold glass of beer and snack of olives, I guess? Far and away my favorite of the bunch is Bar Santa Ana. It’s the typical old man bar around the corner from your flat where you feel intimidated to walk into, but secretly have always wanted to – dozens of images of the nearby Esperanza de Triana and San Gonzalo brotherhoods. 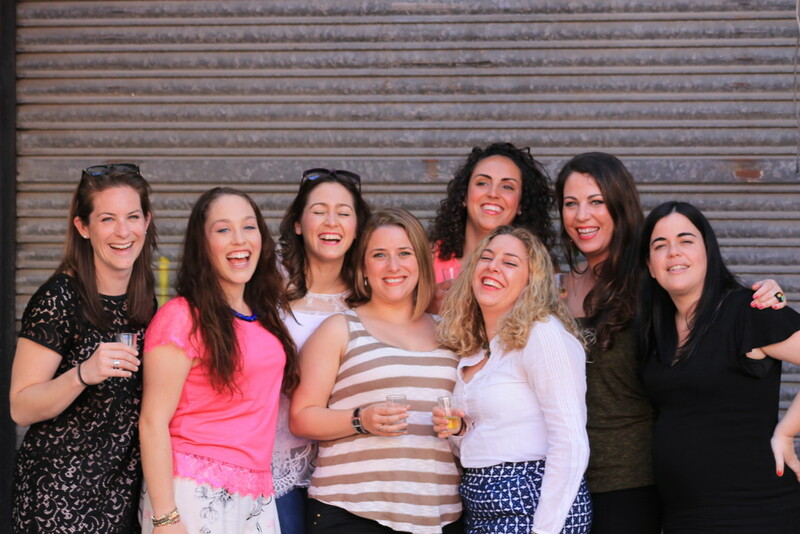 Bullfights are run on TV while you sip your beer, tabbed up right in front of you on the bar, and the countdown to Palm Sunday hangs over your head while you eat from a huge tapas menu. With a name like the fresh one, La Fresquita has a lot to live up to with its beer. Still, it’s served cold and often accompanied with olives or even a pocket calendar. The small space – its biggest downside – is covered floor to ceiling in pictures of processions and a countdown to Palm Sunday. Since the bar is right off of the main tourist sites and centrally located on Mateos Gago, many patrons spill out onto the sidewalk in front of the bar. Kiosko La Melva – Manuel Siurot, s/n (at the cross of Cardenal Ilundain). Hours depend on the boss, Eli. My weekday bar is always Kiosko La Melva. Once a shack used to provide workers from the ABC Newspaper offices with their midday snacks and beers, the small structure is unbeatable for cold beer (which only costs 1€!) and small, delectable fish sandwiches. Eli and Moises, the wise cracking buddies who man the bar during the mornings and evenings, collect memorabilia from Semana Santas past to fill the bar’s small interior. Their favorites? The Jesus del Gran Poder and la Macarena, who are associated with the Real Betis football club! 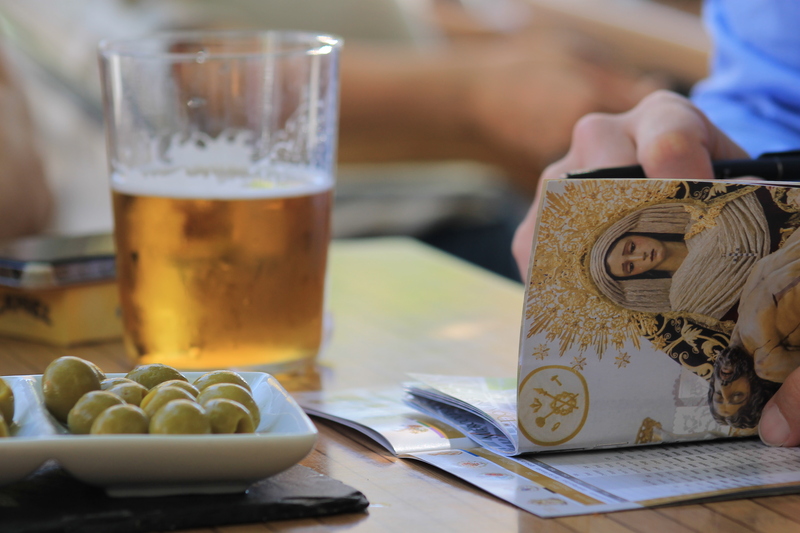 You can take the 1 or the 3 bus to the bar, which is located near the Virgen del Rocio Hospital. Closed when raining, Saturday nights and all day Sunday. Garlochí – Calle Boteros, 26, Alfalfa. Seville’s tackiest bar deserves a mention here, although it’s become a bit of a tourist attraction. 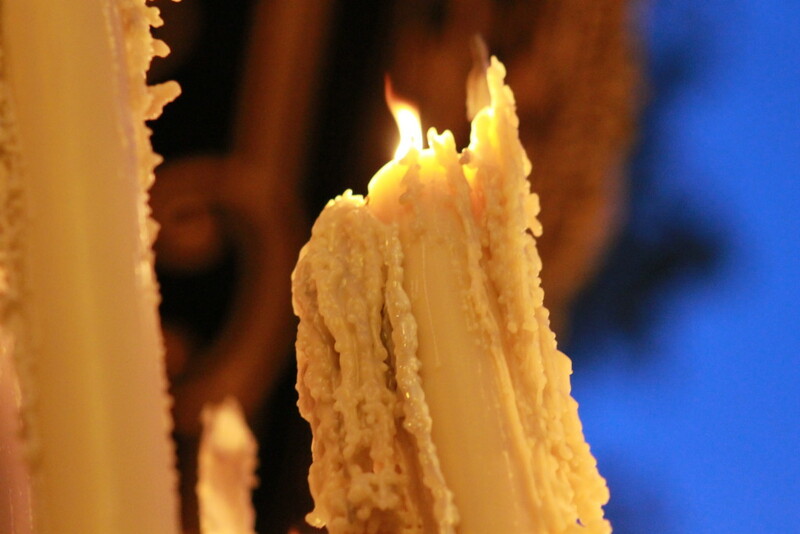 Wafts of incense arrive to the street as a lifelike Virgin Mary, eyes towards the heavens, guards the door. The plush decor and aptly named drinks – like Christ’s Blood – make it a favorite among tourists, but there’s a “Garlochi Lite” next door with cheaper drinks and not so many eyes starting at you as you pound your cervezas. As a non-capillita, I had to ask my dear friend La Dolan for her top picks for Semana Santa bars around the city. 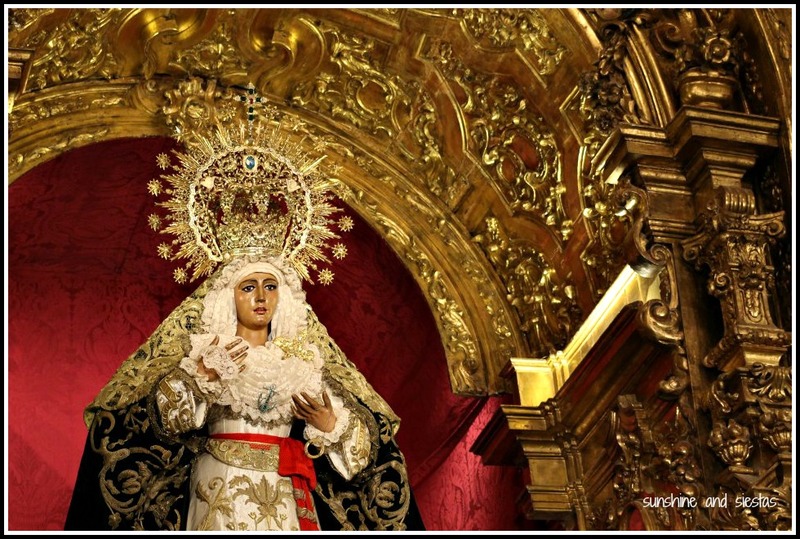 She told me of Carrerra Oficial, just steps from Plaza San Lorenzo and the Basilica del Jesus del Gran Poder that has put a replica of the famous church’s facades as part of its decor. The bar is on Javier Lasso de la Vega, 3. 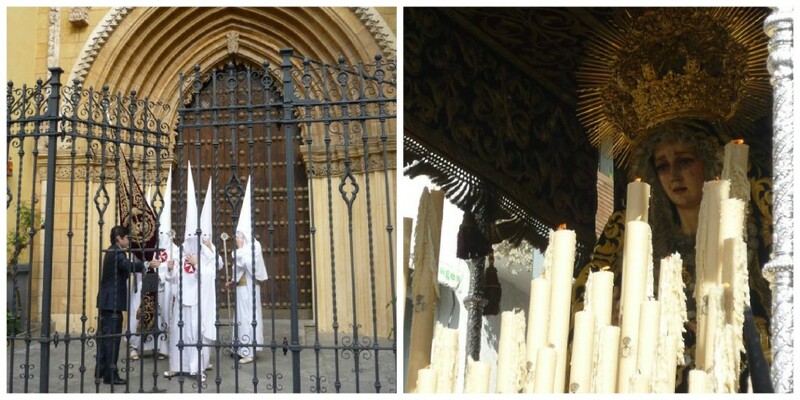 Have you ever experienced Semana Santa in Seville? Or been to a Holy Week bar here? My school is full of nazarenos. 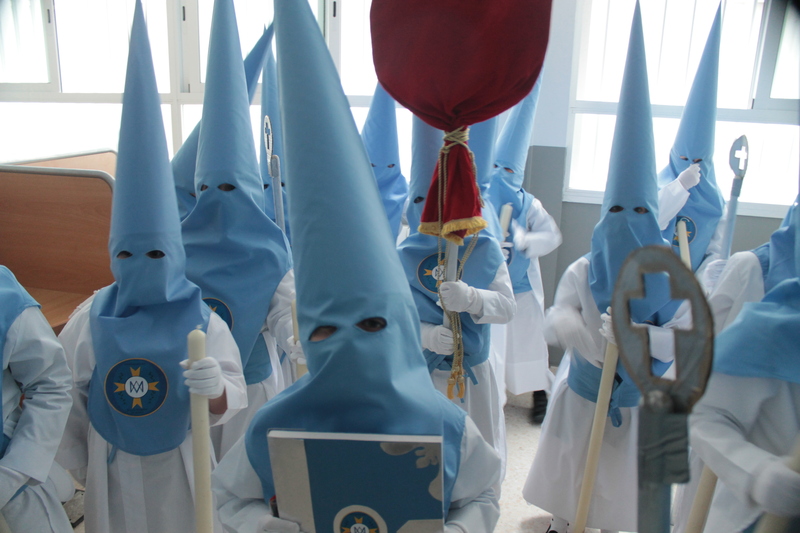 Now, I know what your American brains are thinking, but this can’t be explained by a few letters: the nazarenos are symbolic of the penitent brothers of religious brotherhoods. 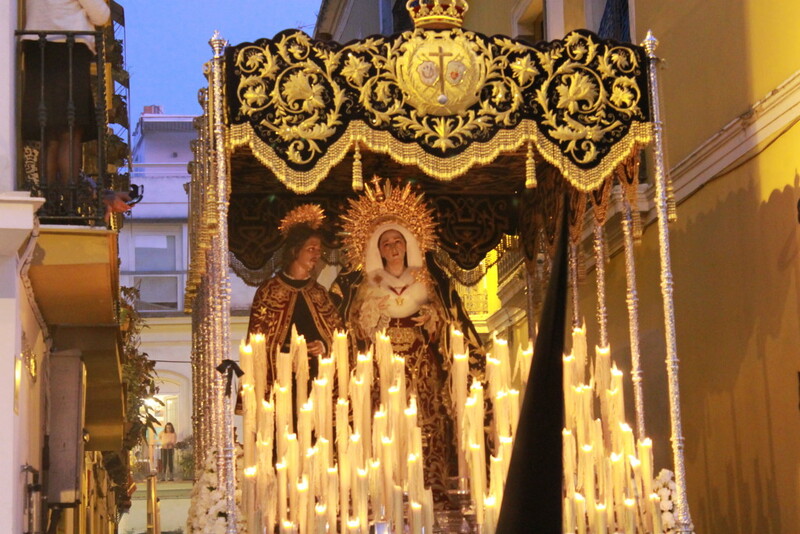 In Seville and throughout Spain, these brothershoods march throughout their towns for up to 12 hours, accompanying a float adorned with candles, flowers and an image of Christ or the Virgen Mary. They say the hoods make the sinners nearly unrecognizable to the people who come from around the world to see Seville’s famous line-up (read a few tips on how to survive it if you do come), but I’d still file it under culture shock. Though it was tiring (they don’t called it Friday of Dolores, or Sorrows, for nothing! ), it was fun to play guessing games with the students and practice prepositions on the two-hour long march. When the faithful returned to their temple, there were pestiños and rosquillas for all. For now, the mantones and floats are stored until next year, and we teachers get a glorious ten-day break from babies and boogers. Have you ever attended Holy Week processions in Spain? What was your reaction? Any big plans for Semana Santa? This lady is off to Turkey tomorrow! 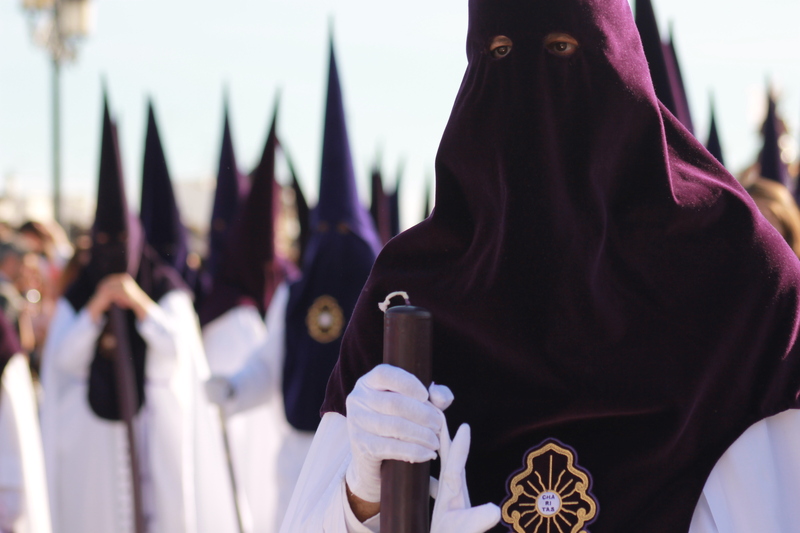 On a popular talk show on Andalucía’s Canal Sur called La Semana Más Larga, the host Manu Sánchez recently griped about the recortes going on throughout Spain. But Rajoy just wants us to move right into Summer! he spews, citing the recent “frío esteparian” and the subsequent 70º weather. He’s got a point – springtime in Seville is sweet, filled with tipsy afternoons drinking in sunshine and Cruzcampo, fresh breezes and the intoxicating scent of azahar. But Springtime is also the most short lived season, a brief twinkle in the year, and Rajoy’s insistence in cutting the fat off of all that is good and beautiful about life in Seville is just plain loco. Manu claims that Spring is for the sevillanos to leave “everything in condition” so that the guiris, who olny come in the summer, can have what’s left over (watch the whole show here a la carte and enjoy Manu’s INCREDIBLE andalú). For this guiri who makes like a sevillano and verenea in a different part of Spain, I enjoy the terracitas and fresh aceite like an respectable andaluz. 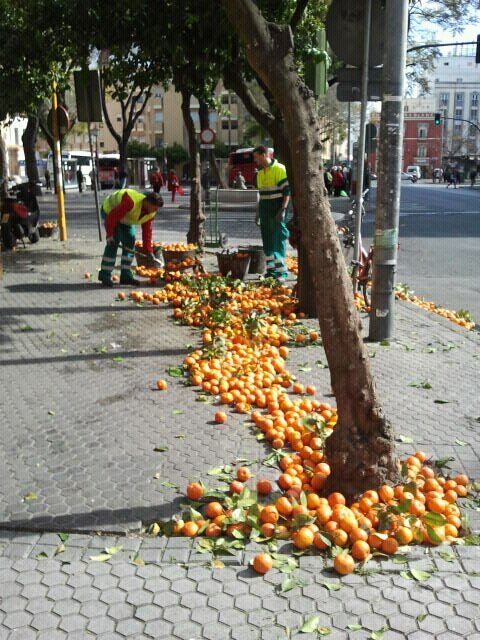 Apart from the towering palmeras that line boulevards, Seville is populated with orange trees. During the winter months, the naranjos bask in the sunshine, their dimply skin growing its namesake color until the days start getting longer in late February. 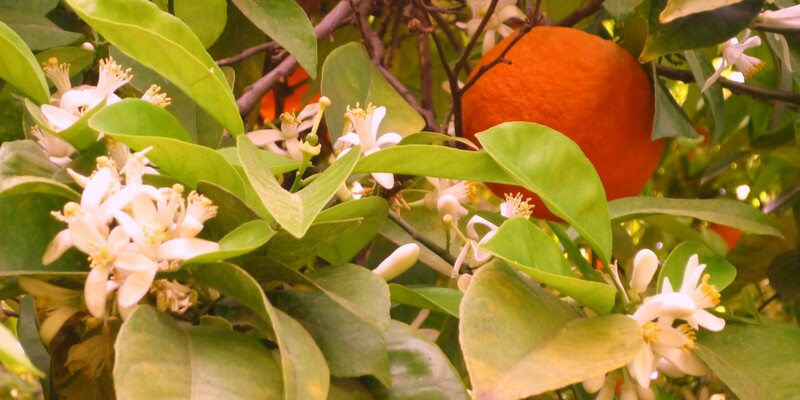 The oranges of this sour variety are rarely, if ever, consumed in Seville, and the rumor states that only the oranges grown in the Cartuja Monastery are sweet enough to eat. By the time March lazily rolls around, the orange trees are shaken, the fruit gathered into thigh-high burlap bags and sent off to the British Isles for bitter marmalade. 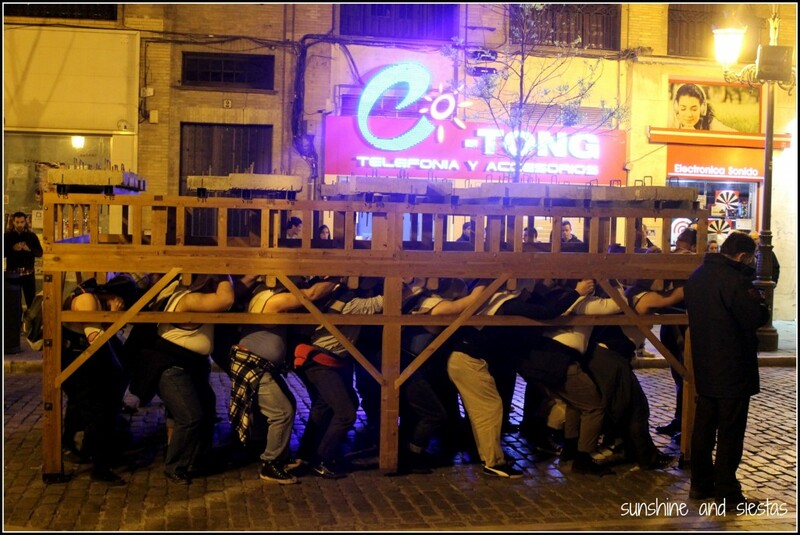 According to the Novio, the city of Seville began to crate and ship them as a gift to the Queen of England. Though I cannot find evidence to support or kill this long-told legend, the people of England start their days off with the fruit spread over their toast, and I with the scent of the orange blossom flower. The small yellow bud, called azahar, appears for just a week or ten days’s time, smelling a little bit like fresh laundry, lightly scented perfume or a sunny day after a spring shower. I can’t put my finger on it, but crane my nose in the week leading up to Saint Patrick’s Day to catch a whiff. After seeing the buds began to peek out of the branches, I finally smelt it on Avenida de la Buhaira, riding my bike on a sunny afternoon with my sleeves rolled up. Finally Springtime, the small glimmer of sevillano time that I am so very fond of. 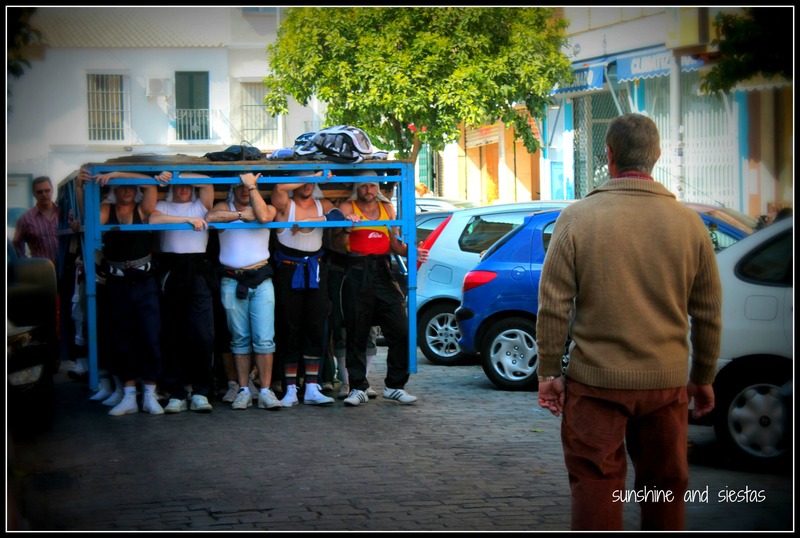 Losing our most treasured season, the one we live for atope in the waning sunlight of twlight, the one we wait for through the nights huddled close to the space heater, would mean a little piece of livelihood taken from the penitent nazarenos, a little less arte in our steps during Feria. Spring is the season I live for more than any other. 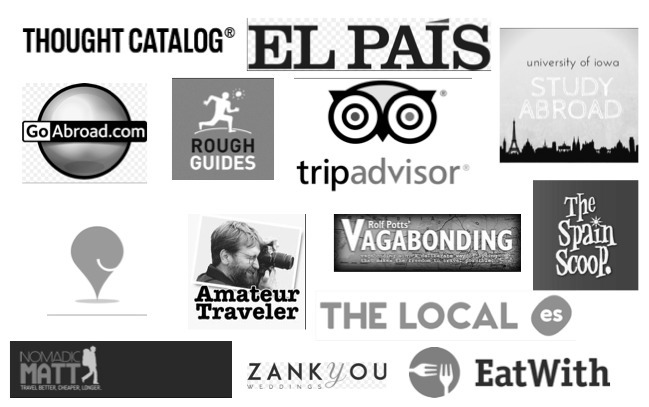 Sevillanos: Where do you like to spend your tardecitas? What do you do with the perfect weather and sunny afternoons? Any good tips for finding sunshine and relax? Share them in the comments, por favor!